Triiodothyronine, also known as T4, is a thyroid hormone. It affects almost every physiological process in the body, including growth and development, metabolism, body temperature, and heart rate. T4 (triiodothyronine) is a thyroid hormone drug fairly commonly used for fat loss, particularly in the context of anabolic steroid cycles. T4 is naturally produced in the body as a result of T4 (thyroxine) production by the thyroid. 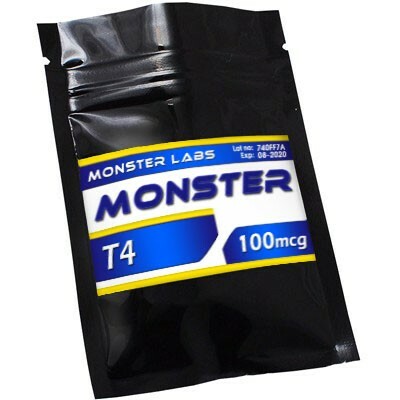 T4 is an excellent fat burner because your metabolism is greatly increased while being on it and commonly used for fat loss, particularly in the context of anabolic steroid cycles. T4 is a synthetic thyroid hormone (Type T-4). There are two main types of synthetic thyroid hormones that are available being this and Synthroid (T-4). This product is regarded as the stronger of the two products (it is 4/5 times stronger than Synthroid).This product works by increasing the synthesis of protein, carbohydrates and fats as well as RNA in the body thereby increasing your BMR (Basal Metabolic Rate).T3 and the Clenbuterol stack (cycle) is probably the most effective weight loss program. Start with lower dosages 25mcg per day first thing in the morning. Increase the dosage by 25mcg every 3 to 4 days. Do not exceed 100mcg per day. Use T3 in a stack with Clenbuterol (cycle). This stack will give best results when used for weight loss.